Choose William E. Kingswell, Inc. for Quality Heating, Ventilation, and Air Conditioning Solutions! When you choose William E. Kingswell for your heat pump, oil furnace, or air handler, you partner with a family owned and operated business that has exceeded the needs of hundreds of thousands of customers throughout our decades in business. William E. Kingswell, Inc is a wholesale distributor of high-quality HVAC, water heater, and air handling units and their parts. When you choose William E. Kingswell for your heat pump, oil furnace, or air handler, you partner with a family owned and operated business that has exceeded the needs of hundreds of thousands of customers throughout our decades in business. Our excellent customer service and knowledgeable staff set us apart. Our founder, William E. Kingswell came to the United States and started out as a civil engineer on the railroad. He began W.E. Kingswell, Inc. in 1927. Throughout the war, his warehouse helped to supply the United States Armed Forces with electrical assemblies. Once the war was over, he started to sell boiler controls and eventually became an agent for the manufacturers Honeywell and Stoker. Mr. Kingswell passed away in 1972, and our current owners John and Peggy Lenahan purchased the company in 1976. Since then, William E. Kingswell has been expanding and constantly looking for innovative new ways to serve our customers. When you partner with W.E. Kingswell, you will find that we have all sorts of packaged units, duct heaters, and electrical heating equipment. You’ll also be able to find the parts that you need to make repairs and replacements. Also, every warranty is guaranteed so you can be confident that the equipment will never let you down. If you don’t see the brand you need on the list included below, then don’t wait to get in touch with us. We will do everything we can to help you get the units and parts that you require. W.E. Kingswell, Inc. always goes above and beyond, and that’s what sets us apart from our competition. At W.E. Kingswell, we feature high-quality hydronic heating systems. In hydronic heating, water is pumped in through pipes. This water is heated up and sent around the home or building through more pipes hidden in wall panels. When you have hydronic heating, it will raise the temperature slowly, bringing in the dry heat without the need for vents. Even on warm summer days, the nights can still be chilly. Plus, you can set the zones inside your home for the heating system to serve. Different areas will have different heating needs. You can also save money by only heating certain parts of your home instead of everywhere all at once. These types of system are also hypoallergenic; in other words, you won’t have to worry about dust, dirt, pollen, pet hair, or other allergens being stirred up by your heating system. Best of all, our heating units can be hidden so they’re not causing distractions or being eyesores; radiator panels are a great way to keep them out of sight for the next time you have guests come over to visit. Indoor air quality is something that you can’t ignore. Did you know that poor indoor air quality can be worse for your health than smog or any pollution in the air outside? With each passing year, both our commercial and residential customers are asking us about how their indoor air quality can be improved. That’s where our air quality and cleaning units enter the picture. Contractors and engineers who need these units and systems can rely on us to help find exactly what they need. We carry air purifiers, humidifiers, and split-ductless units that can bring your fresh air without needing ducts or ductwork. At W.E. Kingswell, we strive to be the best HVAC wholesaler nationwide. We choose our brands and products wisely, using our years of knowledge to choose the best possible units for our customers. We know that when our customers come to us, they are making a significant investment. That’s why we have our very own on-site showroom. This is so people can see the actual units they are purchasing and maybe even learn a little about how they work. Contractors, engineers, and homeowners alike can have peace of mind knowing exactly what they’re getting. Our warehouse has countless units and parts in stock from all of our brands so that we can provide the best service possible. However, sometimes there are things our customers need that we don’t typically carry. Whenever this situation arises, we work hard to find a solution as quickly as possible. Everyone on the William E. Kingswell staff has the knowledge and experience they need to bring our customers solutions that work. They are always standing by to help you with your HVAC needs. William E. Kingswell has been doing business for several decades, and over that time, we’ve had the privilege of developing lasting business partnerships with some of the top manufacturers of HVAC, heating, and air handling products. In our warehouse, you can find a comprehensive line of products from each of our quality manufacturers. At W.E. Kingswell, we believe that the right team makes a world of difference. Each and every member of our staff is helpful, courteous, and knowledgeable. We go above and beyond for every single customer, working hard to find the HVAC solutions that work for them. W.E. Kingswell isn’t just a company, it’s a family. All of our employees have been with us for at least ten years, with some team members who’ve been here as many as 40 years! Our experience in this industry is second to none. 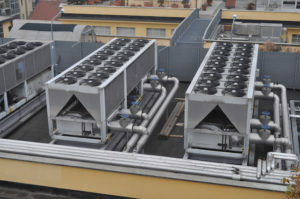 If you need quality HVAC solutions, contact us today! Why Choose William E. Kingswell? This entry was posted on Friday, June 8th, 2018 at 2:31 pm. Both comments and pings are currently closed.